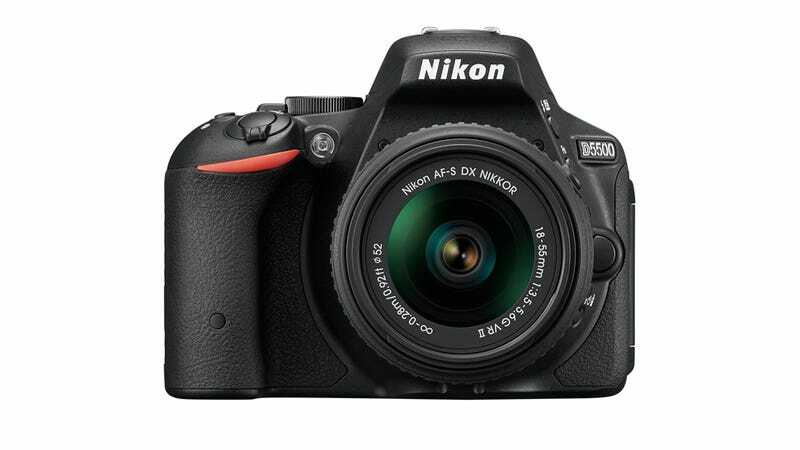 ​Nikon D5500: Nikon Finally Has a Touchscreen DSLR But Is It Too Late? Even as the demand for beginner and mid-range (read: consumer) DSLRs has been slowing down in recent years, Nikon's shooters in this range have inched forward on design and specs. The D5500 represents a pretty minor jump from its predecessor, the D5300. The biggest improvement on the new camera is that the new 3.2-inch vari-angle display is now a touch panel. Which is a nice touch! It would be far more impressive if Canon hadn't added a touchscreen display to its Rebel T4i beginner DSLR over two years ago. From there, the D5500 is basically a recapitulation. It has a 24.2-megapixel APS-C sensor, which like its predecessor has no optical low-pass filter. Nikon has been gradually eliminating optical low-pass filters from its cameras. Previously, they were necessary to prevent moire and aliasing distortions. The downside of using them is that they hurt some fine detail rendition. The D5500 features Nikon's latest Expeed 4 image processing engine, which on this camera crunches up to five frames per second. The camera can shot at a maximum ISO of 25,600, and the D5500's 39-point AF system remains unchanged. For video, the D5300, can shoot 1920x1080 at up to 60p frames per second. The D5500 again has Wi-Fi connectivity. The Nikon D5500 will cost $900 for the body alone, $100 bundled with a an 18-55mm f/3.5-5.6 lens or $1200 in a kit with a 18-140mm f/3.5-5.6. Is it worth it? Well that depends how badly you want that touchscreen. Otherwise, go for an older model, that'll be on closeout pretty soon.